The foreign gaming console ban that’s kept video games off Chinese shelves and in the booths of black market shops for the last 13 years is about to end, according to a report from the South China Morning Post. This is part of what the original report is calling a blueprint for a “Shanghai free trade zone,” which is endorsed by Premier Li Keqiang in a move to make the Chinese market more open to the rest of the world. The agreement requires the companies to register in this new free trade zone and to manufacture their products there, which would then allow the companies to promote and sell their products within mainland China. The ban began in June of 2000; the government was concerned about the violent content of games harming the mental health of Chinese teens and children. Consoles are still, for the most part, manufactured in China despite the ban on sales. As the original report explains, the Xbox is manufactured by Flextronics, while the Wii is manufactuerd by Foxconn, also known as the manufacturer of most of Apple’s mobile electronics. The manufacturer of the PlayStation 4 is not yet known, but it’s safe to assume Foxconn could continue their involvement from the PlayStation 3. Despite the ban, Chinese gamers haven’t been bored by any means. Consoles are consistently sold through less-than-official means, while iPads and iPhones are more and more common. Despite the systems’ ability to play games, they aren’t considered to be gaming products. Of course games like World of Warcraft have done well enough on PC to produce amusement parks, and China is at the forefront of the free-to-play market, something western markets are just starting to get used to by comparison. China could potentially be a huge market, as we said when rumors of this first surfaced in January, so it would be a surprise if the Sony, Microsoft and Nintendo weren’t already working on establishing those in-roads to get things started as quickly as possible. 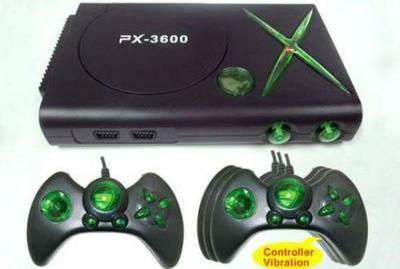 The real question is, what will become of all the knock-off consoles like the above-pictured PX-3600 and the X-GAME 360?